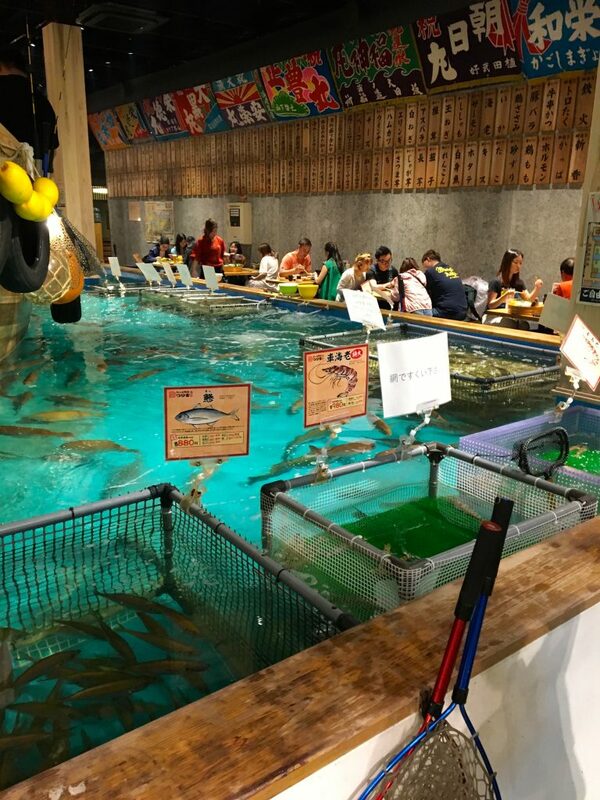 These kinds of “eat what you catch” fishing restaurants are widely popular in Japan! In fact, you can find them all over the country! 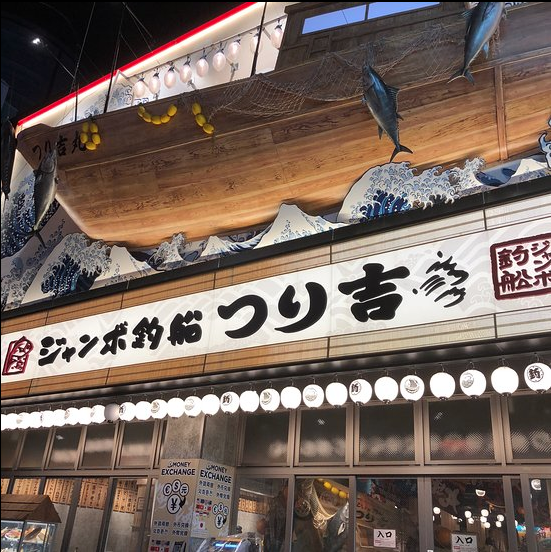 We visited “Jumbo Tsuri-bune Tsurikichi” (Also known as “Jumbo Fishing Boat Tsurikichi”) in Shinsekai, Osaka. It’s a very large restaurant, and very well-lit on the outside, so it’s easy to spot on the street. When we walked into the restaurant, we wrote our name down on the wait list. 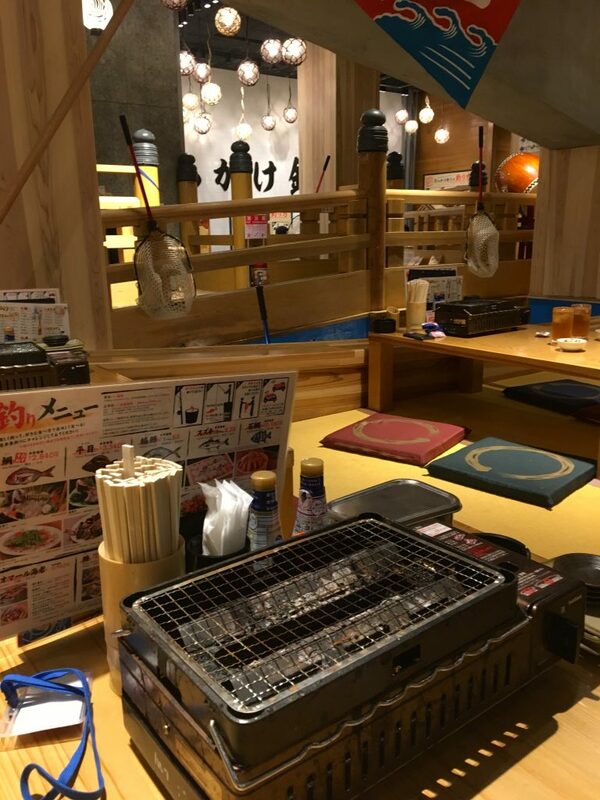 At large restaurants like these, you can choose whether you’d like to sit in a table or tatami. If you say either one is fine, then you will just be sat wherever the next opening is. That’s what we did, and we were taken to a tatami seat after only a few minutes! Not a bad wait at all! 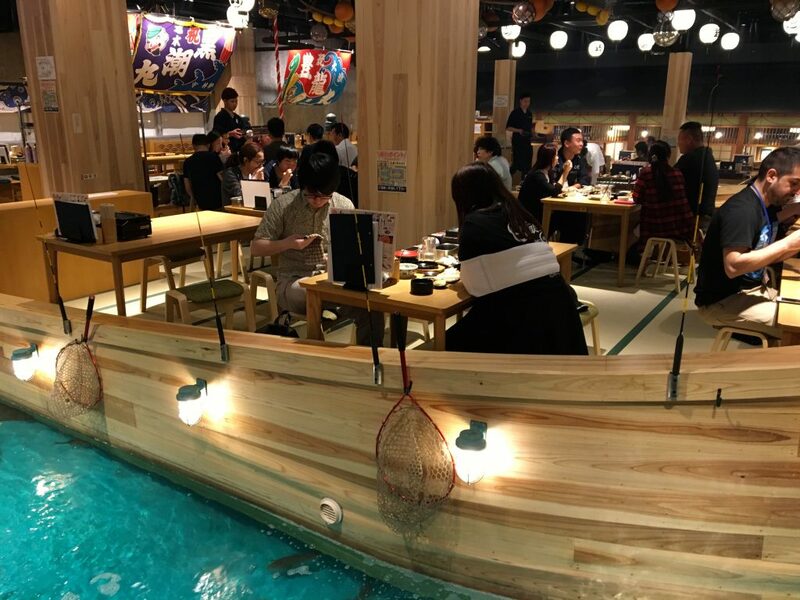 The restaurant is large and open, with large “boats” that make up the seating area. Around the boats is blue water full of different kinds of fish. There are nets and rods everywhere, which you can use for free. 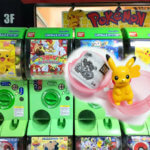 You also receive one small cup of bait for free, but every additional cup of bait after the first one costs 100 yen each. There are signs on the walls and in the pools that explain the type of fish found in each area! 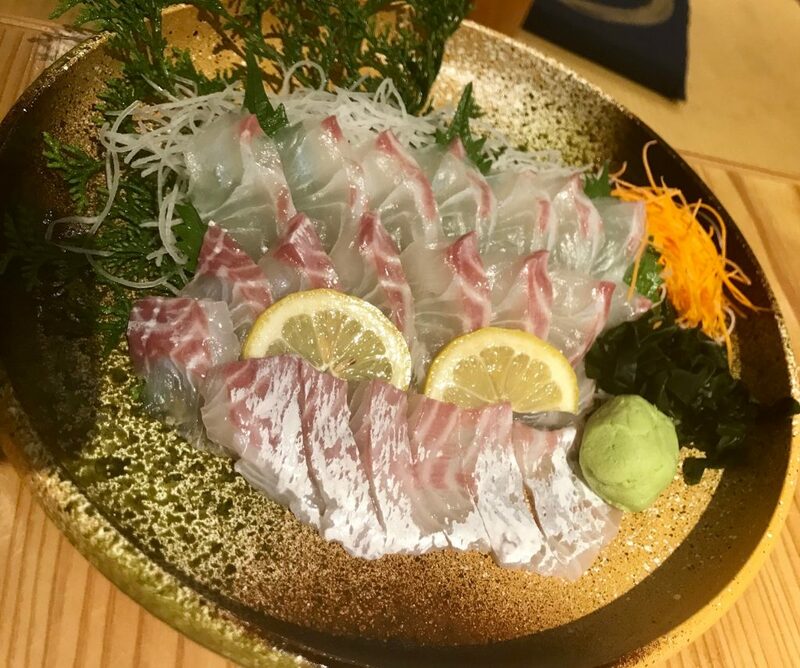 There’s so much to choose from – including white trevally, sea bream, Japanese sea perch, horse mackerel, olive flounder, striped beakfish, marbled rockfish, stonefish, and thread-sail filefish. Tanks in front of the store even had crab, lobster, sea urchin, puffer fish, and octopus! Wow, she caught a fish! After you catch a fish, a staff member will come and take it, and ask how you’d like it prepared. 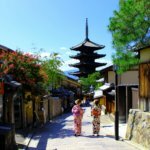 You will then be asked to choose 2 out of 4 cooking options: sashimi (raw), salt-grilled, simmered, or tempura (deep-fried) skewers. 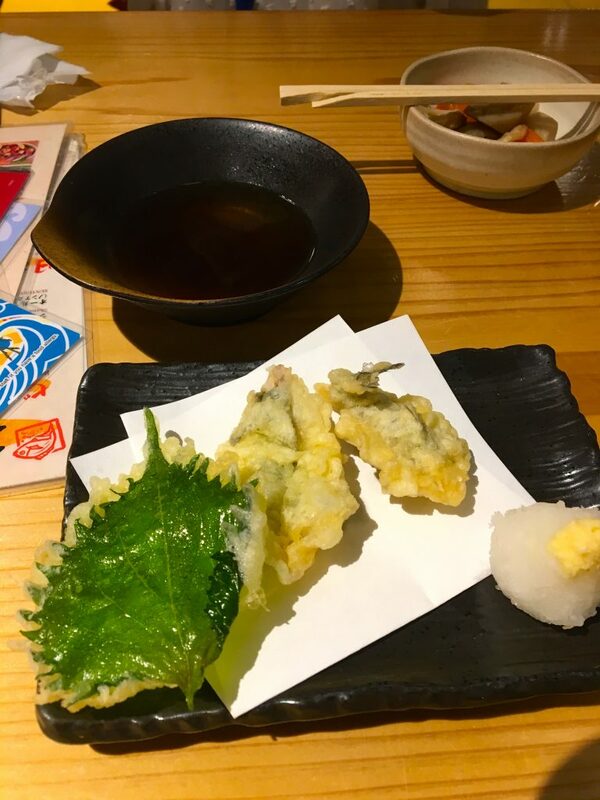 If the fish are too hard to catch, or you’d rather just order something off of the menu, that is perfectly fine as well! 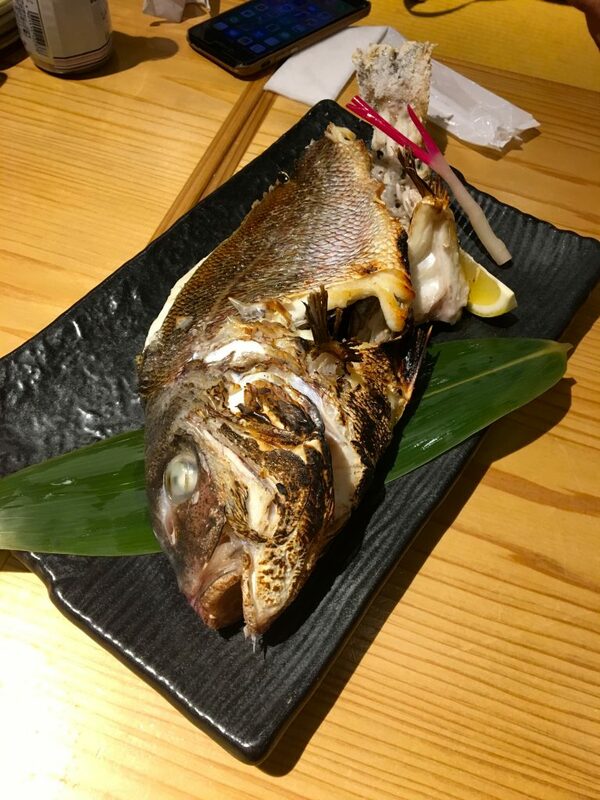 There is a small grill on each table, so you can order any kind of fish you want, and cook it yourself to your own liking! Just like any other restaurant, you can also just have it prepared for you. For us, the fish were surprisingly hard to catch! Between the 2 of us, we used a net to catch two little ones, which we got fried tempura-style. And we also used a rod to catch a bigger sea bream, which was then grilled. The tempura only took about 5 minutes to prepare, while the grilled took about 15 minutes to come to our table. They were both SO FRESH and SO DELICIOUS! In the end, our bill was about 5000yen ($50 USD) for 2 people. 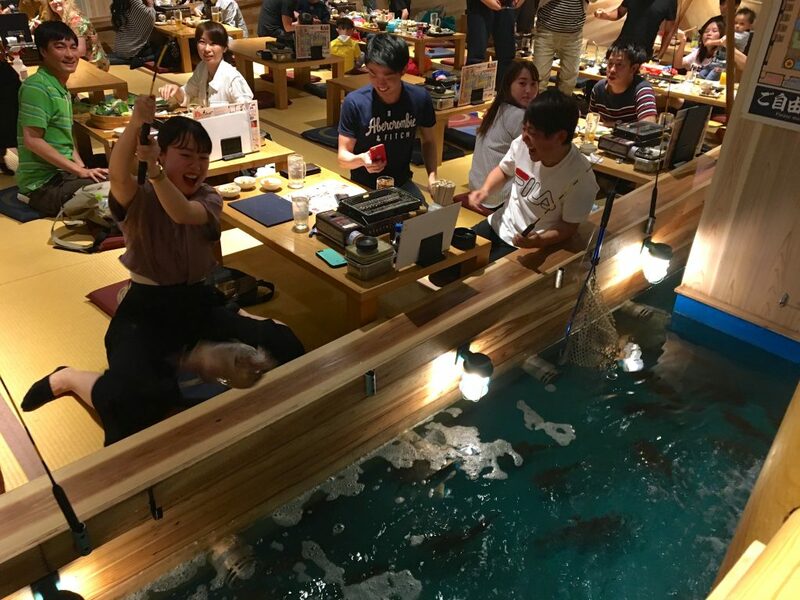 Not the cheapest dinner out, but the fun setting and interactive fishing experience was definitely unique! 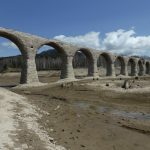 It’s great fun for friends, families, couples, and tourists. 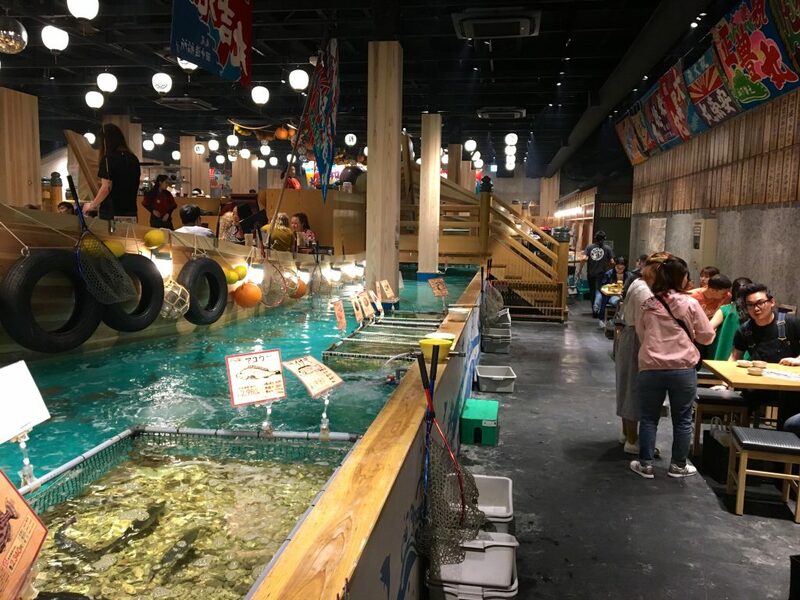 We certainly recommend these eat-what-you-catch fishing restaurants if you come to Japan! Osaka Shin-Sekai Live! 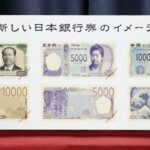 新世界(New World)でライブだよ！You’ll find a new face of Japan. 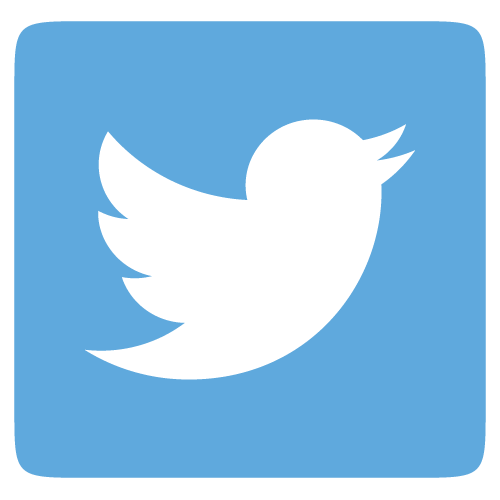 And follow our Facebook page for more daily posts on Japanese Language and Culture here!